Question: I am Color Blind, can My Color Match Help Me? Answer: YES!! My Color Match was designed to meet those types of challenges. My Color Match will do the primary matching for you and then allow you to select a color(s) or shade(s) that you like best for comparison, all the while knowing that your selections will match. Question: How do I search for a color with My Color Match? You can type all or part of a color name. You can type all or part of the RGB number. Question: How do I get help using My Color Match? Answer: My Color Match has a Help Option on many screens. 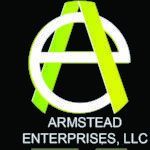 Also, please visit the contact us page to ask a question or leave a comment. We love to here from our users. Question: Do I have to select a color or multiple colors to match? Answer: No, you can select the “Manually Match colors” and then you have the option to input one primary color and up to three comparison colors. This gives you total freedom to mix and match colors. Question: How many or few colors can I match with My Color Match? Two primary colors matched with to up to three choices of a list of colors. One primary color match with up to three choices of a list of colors. Keep in mind that this is just the starting point. 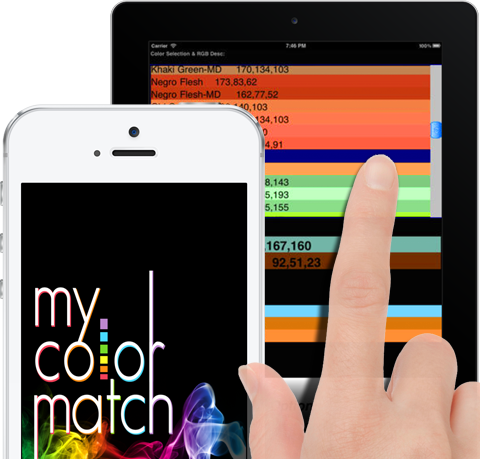 After making your selections My Color Match will display up to 700 different selections from which you can choose. Question: How many colors will My Color Match display when it match my selected colors? Answer: My Color Match will display only those colors calculated to match your selection(s). there could be from zero to hundreds of color matches. From which you can select up to three colors to compare to your selections and view on your device. Question: Can I post my selections to any social media? Answer: YES!! !, but only with the iOS version You can post your actual selections to Facebook, Twitter, and Weibo!! You can also email you selections!! Your friends will see the actual colors and your comments. Question: Can I save or print my compared colors? Answer: Yes! You can save your selections. My Color Match has a page that lists all of your saved selections. From that page you can view the detail of that combination. Also, you can print with the iOS version to any AirPrint compatible printer, as well as post your selections to Twitter, Facebook and Weibo. Question: Is My Color Match available for the Android? Answer: Not yet, but in the works.